This page contains frames and arrows for math. Frames and arrows that require basic addition skills. 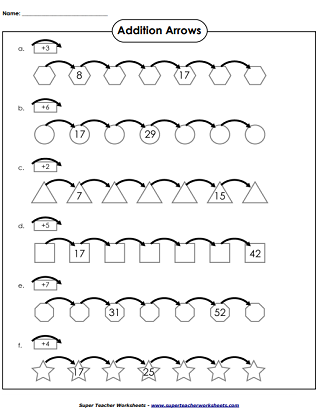 Subtract 2-digit numbers (with regrouping) to solve these basic frame and arrow	activities. 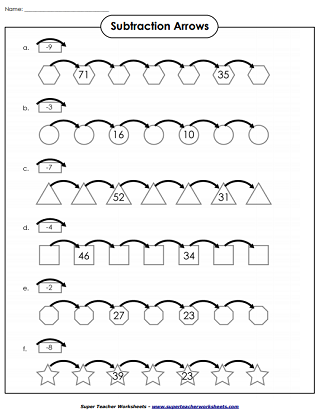 Use basic multiplication and division to solve these frames and arrows puzzles. 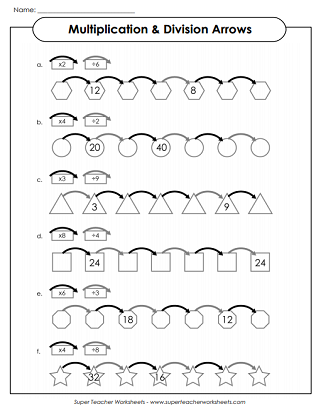 Click here to see a complete listing of many, many different math worksheets we have at Super Teacher Worksheets!